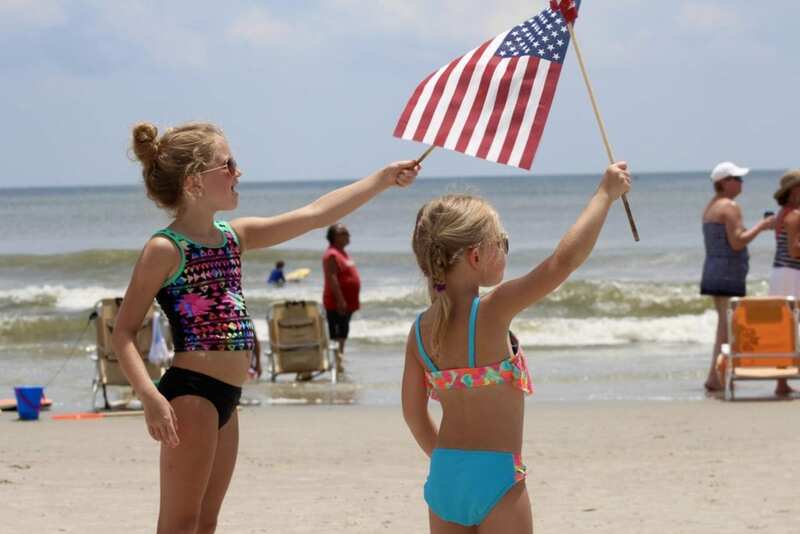 What does Salute from the Shore mean to you? Is there a tradition you’d like to tell us about, or a hero we can help you honor? Did you have a special Salute from the Shore display last year? 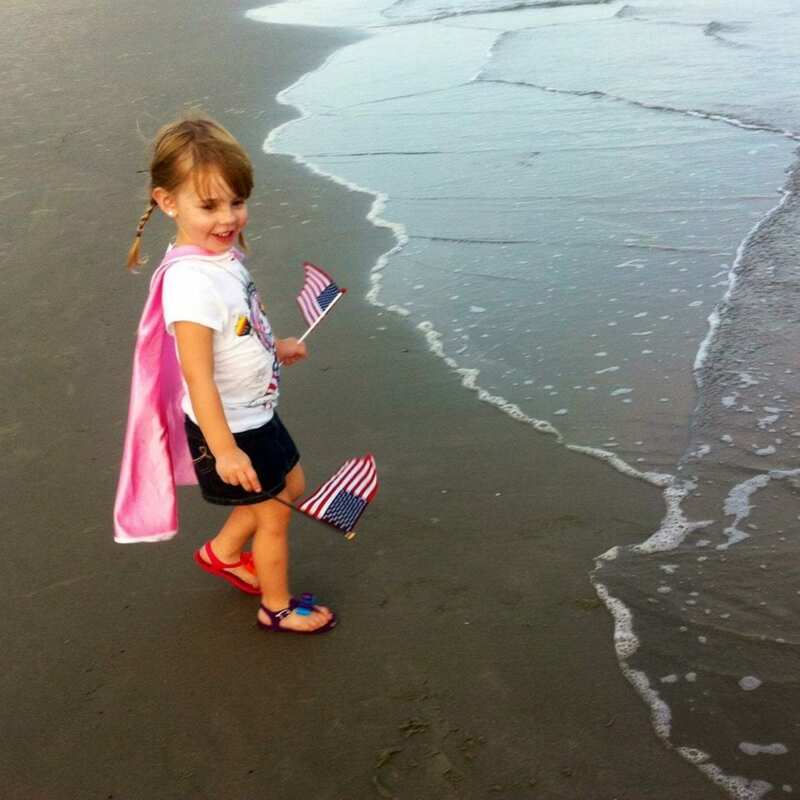 How do you plan to show your Wave of Patriotism this year? 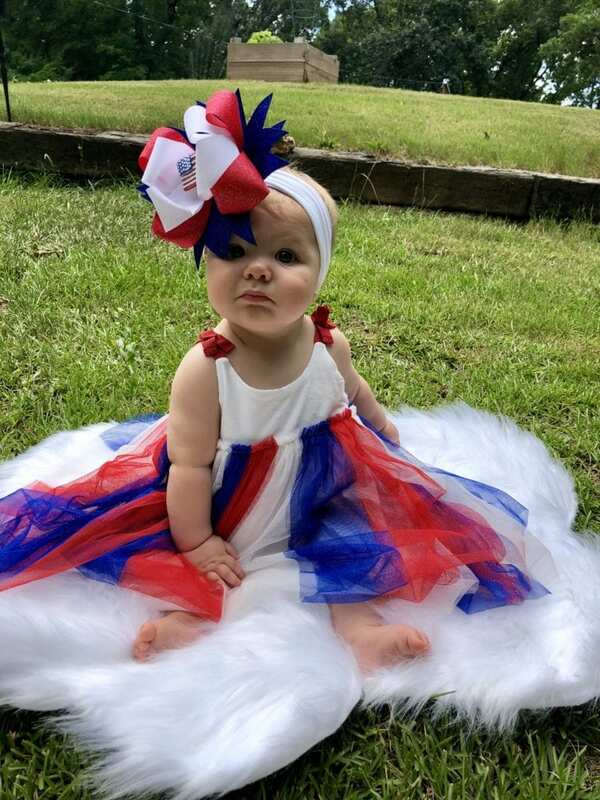 Share your story here or just tell us why you love America on the 4th of July! We salute your traditions, your heroes and your tributes to honor our armed forces. The stories below are from patriots like you who have shared their stories about people they want to salute. 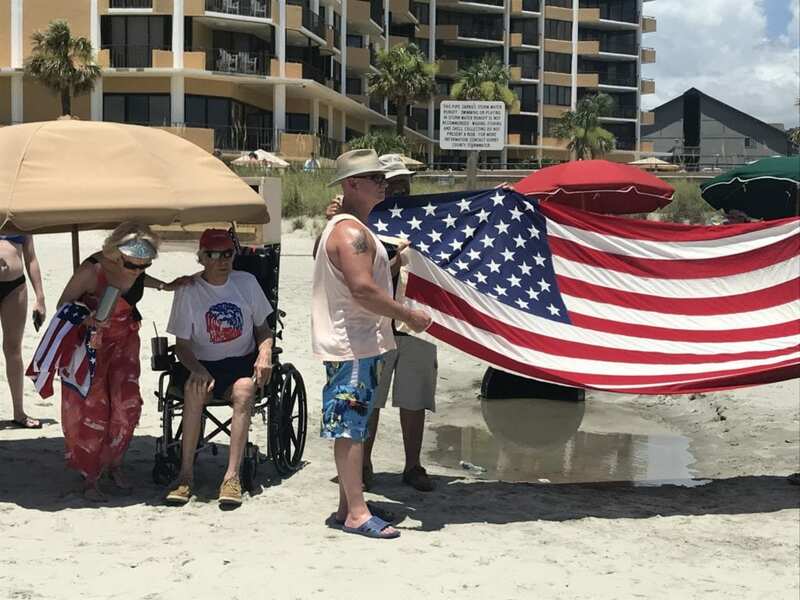 Every year we have gone (since 2011), Peter (in wheelchair) has taken his huge flag and proudly raised it and cheered on Salute from the Shore. He is probably the most patriotic, thankful to be a US citizen I will ever know. He’s originally from South Africa and has embraced his “new” country with open arms and gratitude. Honestly, shaming most of us born here. He never hesitates to tell us what we have in our country and what we take for granted because of where we were born. 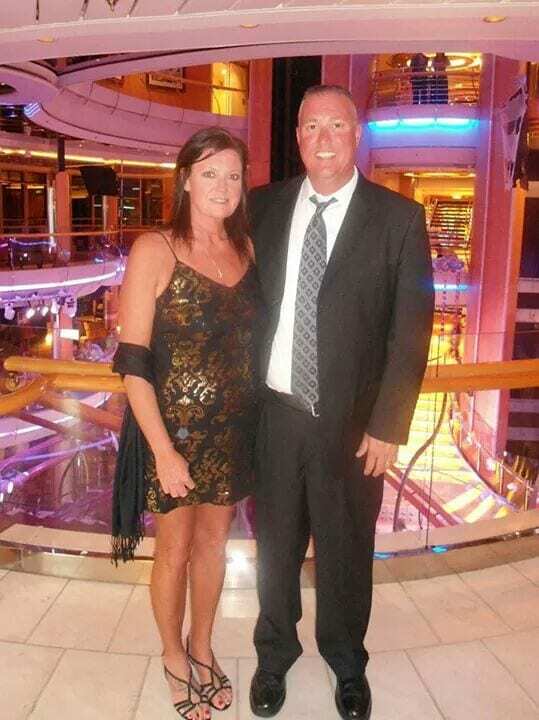 This year, Peter was diagnosed with cancer. But, he refused to let his illness keep him from asking his wife and friends to help him stand when the band played “God Bless the USA” and the “Star Spangled Banner,” nor when the planes flew over! 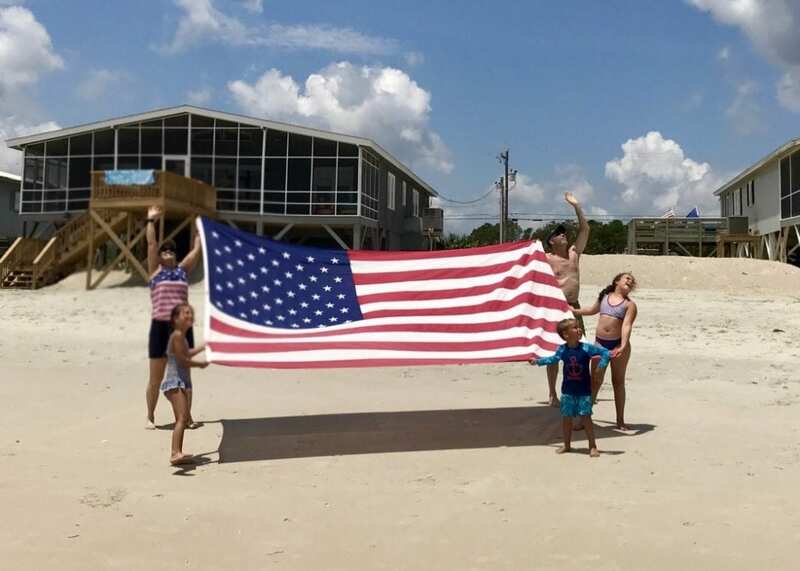 He couldn’t hold his flag this year, but was determined to be on that beach with his friends holding it high and cheering on for what he holds most dear. Saluting all the service men and women across the globe, especially those that gave the ultimate sacrifice!! I would like to give a special salute to my two boys serving in the USAF! Thank you DJ and Ricky!!! We wouldn’t have the freedom to live this life and be on the water without your protection! Thank you for your sacrifices! Saluting Citadel students and alumni who serve, have served, and will serve. Taken from the beach house. I salute my Dad who served our country in the Vietnam War. Thank you to all who gave their lives to serve this country that we love. I can't say thank you enough for your service. God bless you all. I am so proud to be an American. Thank you so much for protecting this country. All the have or are serving! Saluting all our Armed Forces! 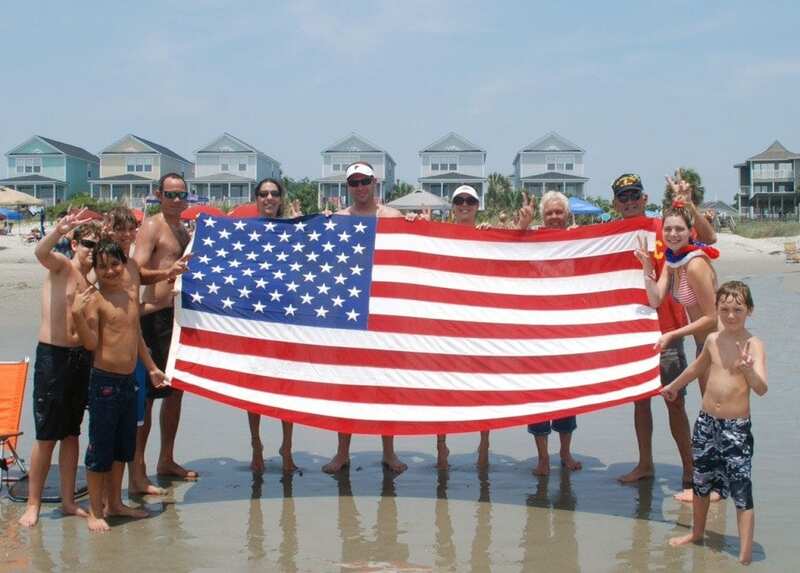 Saluting our military from Litchfield Beach, SC. We are blessed by your service and thank you for the protection and sacrifices you make for our country. All those who have served in the United States Armed Forces, especially my father who was in the 13th Air Force in World War II. 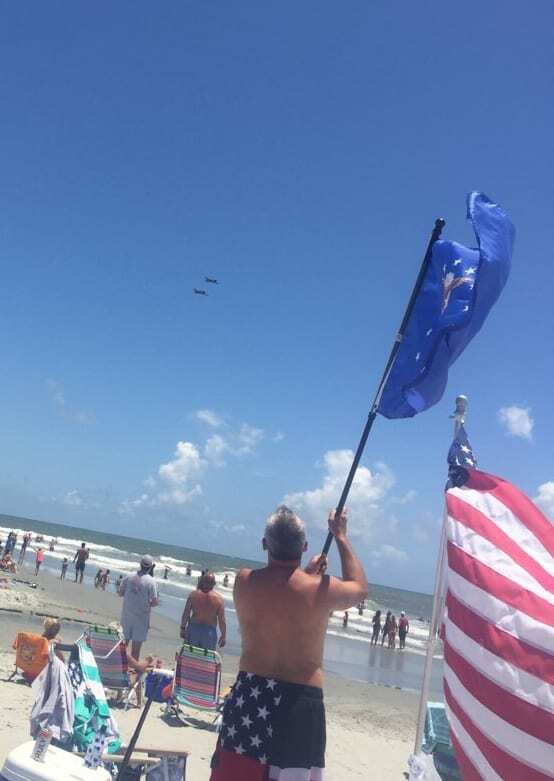 Hilton Head Island beach goers welcoming and saluting the approaching vintage aircraft yesterday! Our troops who risk their lives everyday so we are free and safe! God Bless America, our President, all those in Government! God Bless our Trooops! Make America Great Again! All our troops who daily risk their lives for all of us. God Bless America,land that I love!!! 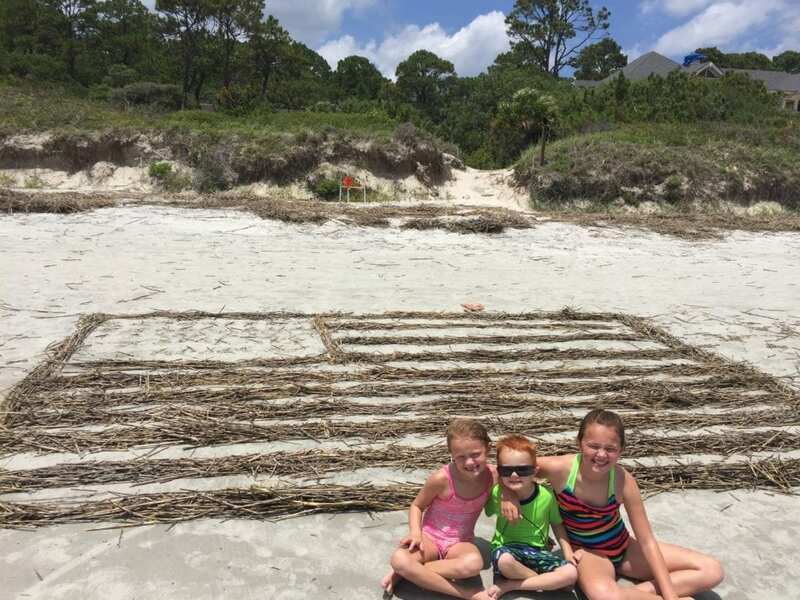 Thank you from North Myrtle Beach visiting from Massachusetts! The recognition is for my dad who bravely fought in Vietnam for the US when he wasn't even a US citizen. His bravery makes me proud to be American every day. Ryan paid the ultimate sacrifice for us to live freely. We salute Lt. Rawl. and will never forget our heroes. 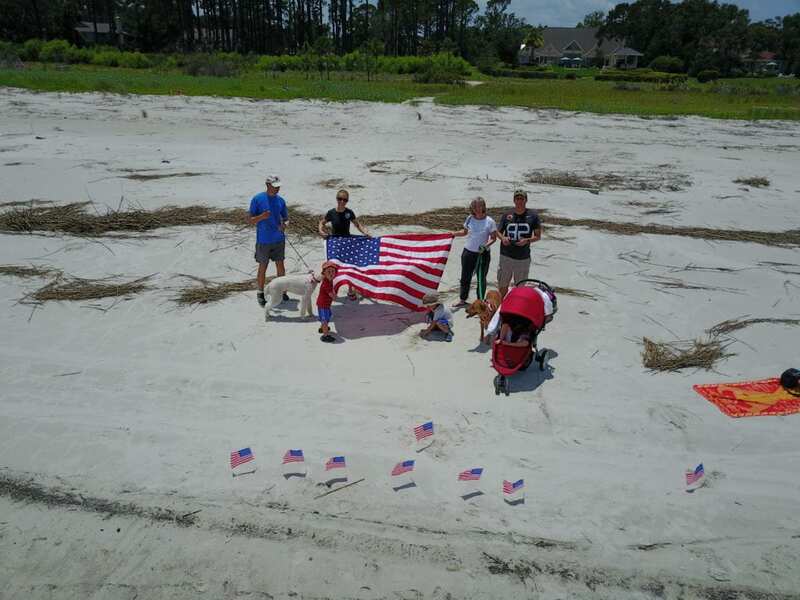 Every year our family and friends paint the American Flag into the sand. We do this to represent and honor our great country. God Bless America and the Men and Women of the United States Army, The United States Military Academy, and the Army Cyber Institute. We want to salute all those who have served and who plan on serving to protect us and ensure our freedoms. 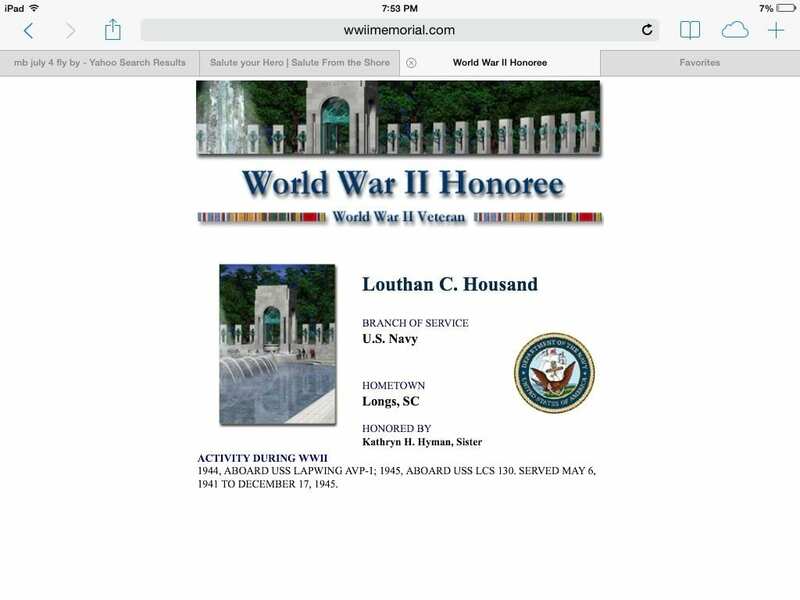 My great uncle died in the Philippines after suffering through the Bataan Death March. He never got to come back and enjoy what we have today. Thank you Uncle Leroy, and all the other "Uncle Leroy's" who gave all-for all of us! I salute you! 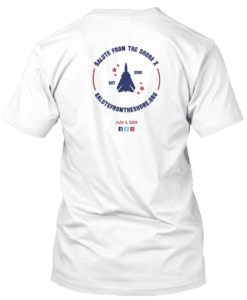 Stars and Stripes, and the EAGLE FLIES!!!! Hanging out at Breach Inlet - located between Isle of Palms and Sullivans Island outside of Charleston, SC on the Fourth of July. 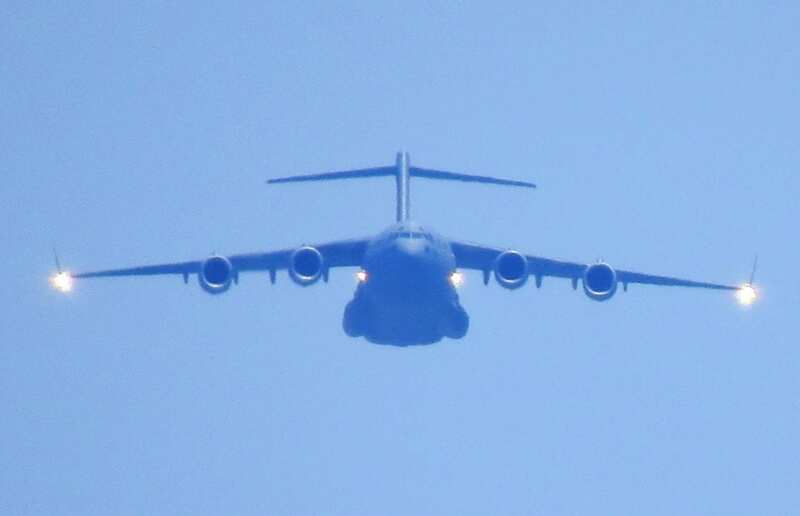 Look to the Sky for the giant C-17 Air Force arriving at home base. Thank You - We Love You Guys and Girls!!!!!! Such and amazing site to see all the planes. This is from 2016. 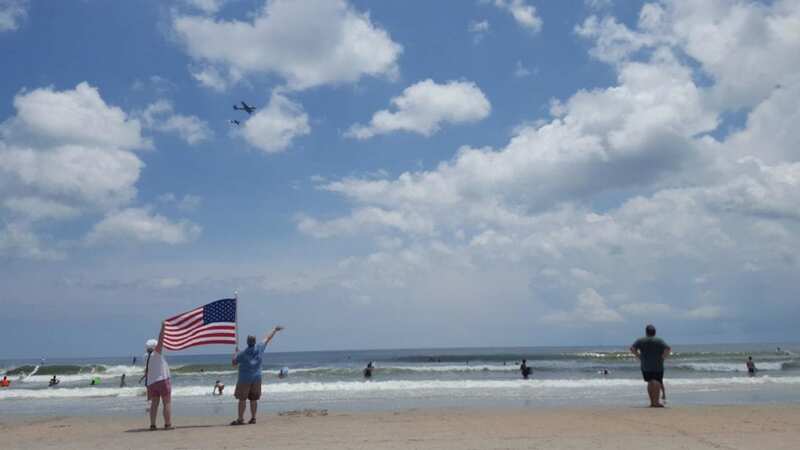 I just enlisted in the SC Army National Guard in March, and I leave for basic training in August, so this Salute From The Shore will be special for me because it will be the last 4th of July I will be celebrating the birth of this great nation as a civilian. 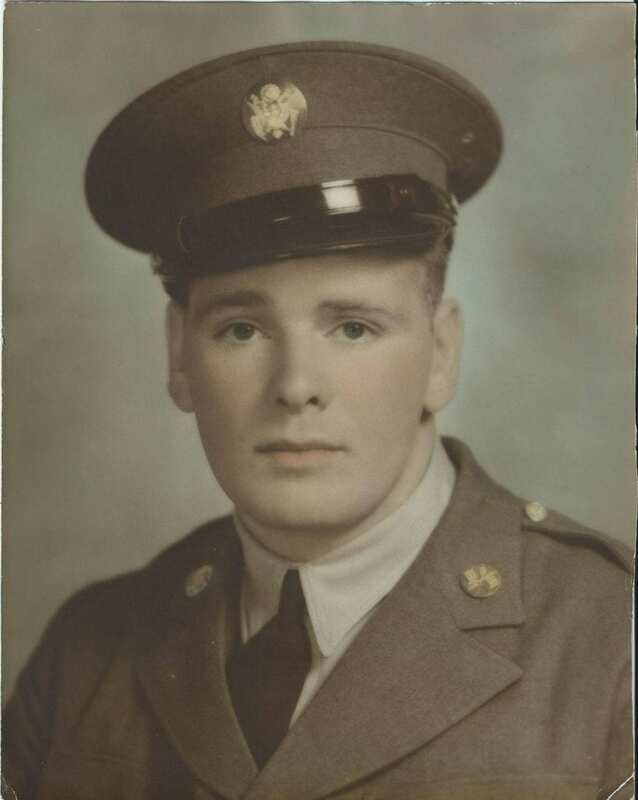 It will also be special as it marks the 10th 4th of July without my grandfather, who served our country before me and was a main factor in my enlistment. 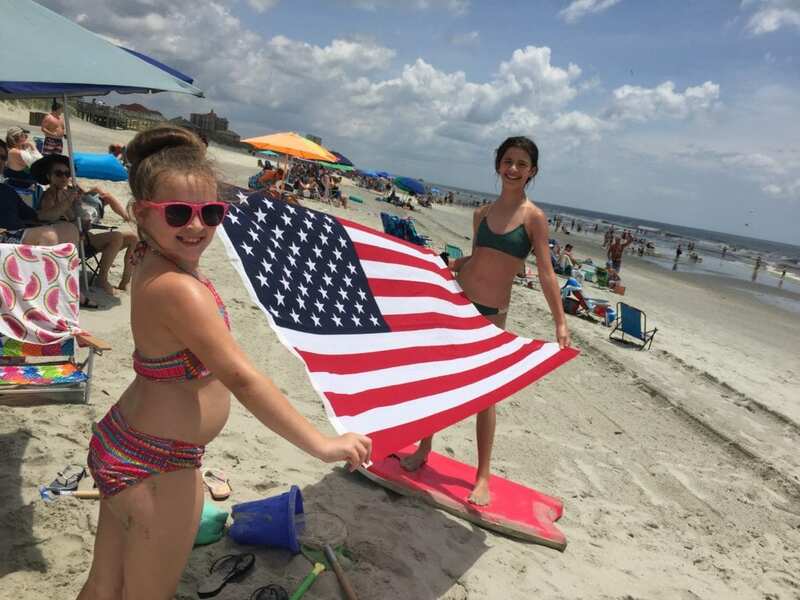 I plan to be on the beach wearing red, white and blue, saluting in thanks of our country's servicemen and in gratitude of our nation, which unlike any other country guarantees and protects our rights and freedoms as American citizens. God bless America. To my father served in 1942, Vietnam war. He was my hero still is!!! He served to protect us and he loved us even more. He's truly missed. A Salute to all our troops. 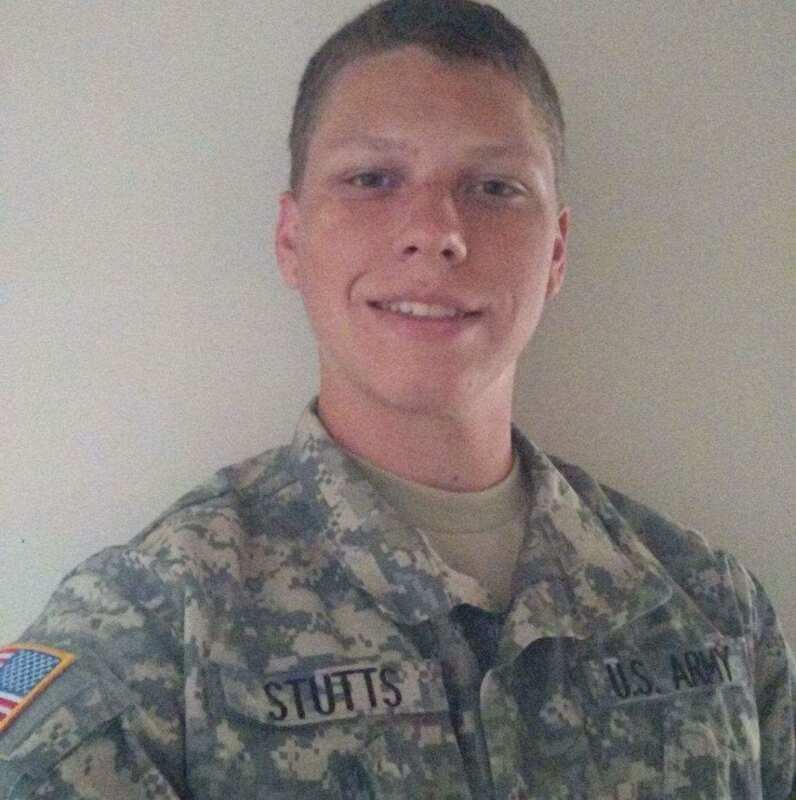 I have a Military Mom's heart since my son, (pictured) is currently a Colonel. He has servied a year in Iraq and a year in Kuwait. Thank you to all of our service men and women that keep our nation free. 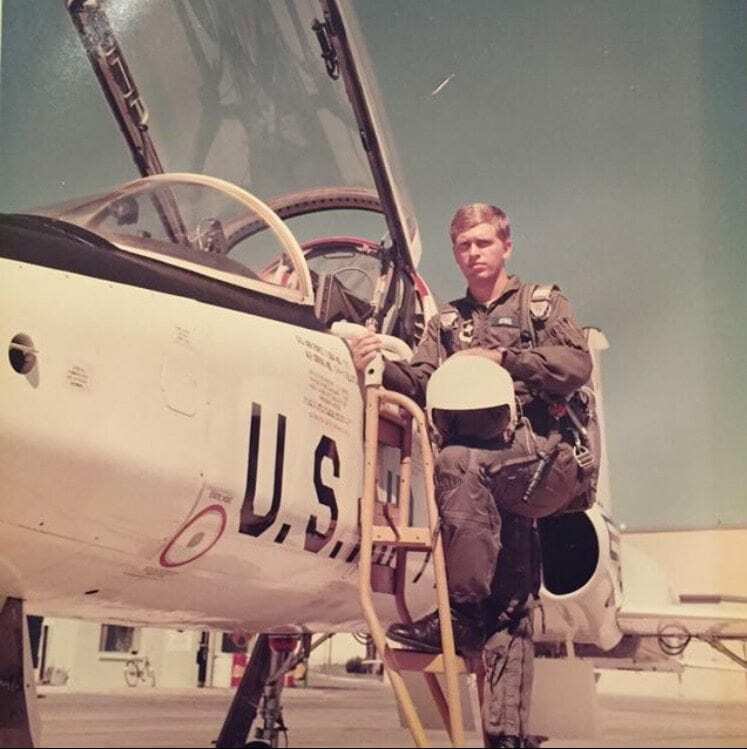 I Salute my Father Max F. Cameron for all his active duty service with the USAF and his heroic combat mission, his "Mig Kill" on April 23, 1966 over Saigon, Vietnam. I salute my friend and hero, Grace Merry Parsons, for her years of dedication to our military. Saluting from Charleston Harbor in appreciation to all those who keep us safe by air, land, and sea! America is the greatest place in the world. 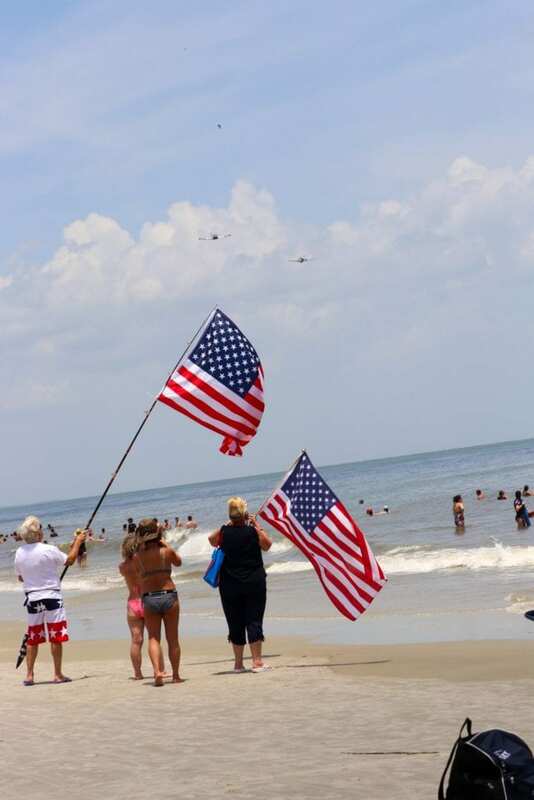 We have seen every salute from the shore from the wonderful beach of Edisto. 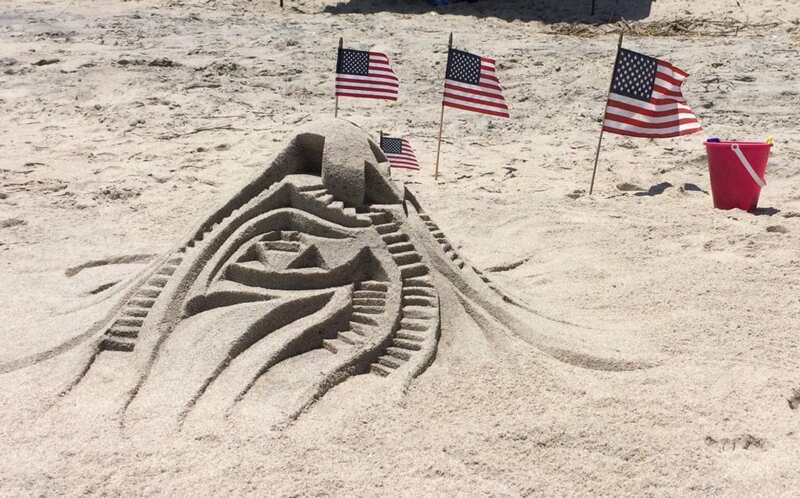 I make a new sand castle everyday, first a pile of sand, second, the American flag. This was today's castle. Preparing to Salute the Shore! 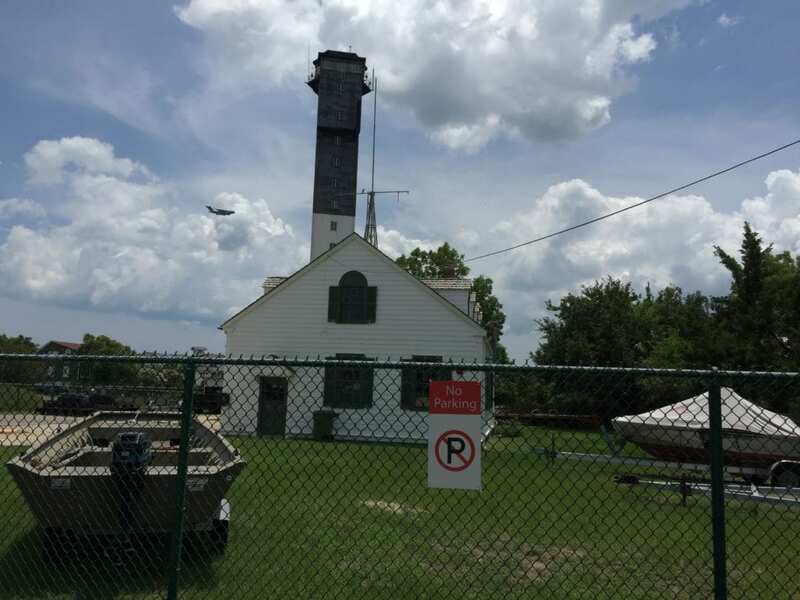 We were lucky enough to see the amazing aircraft circle the coast twice before beginning their journey here in Little River! 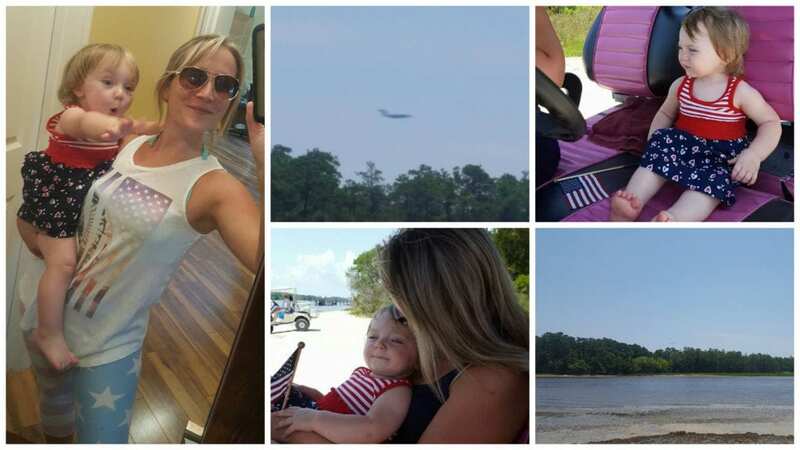 Although Mommy's pictures came out blurry - Little Rylynne still waved her flag in excitement watching them fly over the shore from afar with Mommy & Grandma! Happy Independence Day! To all those who have served and are serving, THANK YOU! This photo is of my husband who served in the Marines. We salute all service people, living and deceased. Thanks to Fred Loveland, Sr., who participated in our salute. He served in the Korean Conflict in the Air Force. 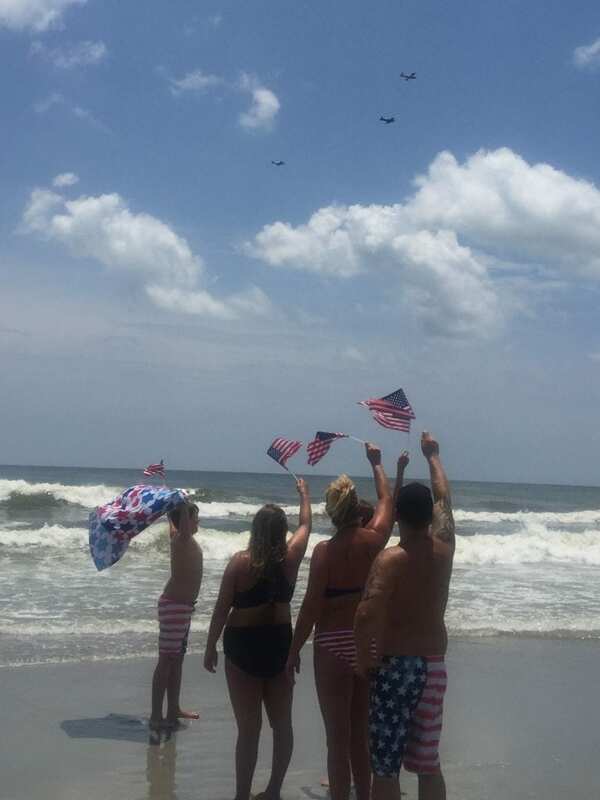 Saluting from Hilton Head Island! Happy Fourth of July from the Lowe Family! Yes, I served, but as my pastor once preached, missionaries don't serve alone--they have all kinds of people in the background supporting them financially and with prayer. So it is with service members. Some are called to serve in uniform, all others are called to support them. If the farmer doesn't grow wheat, we don't get bread and so on. 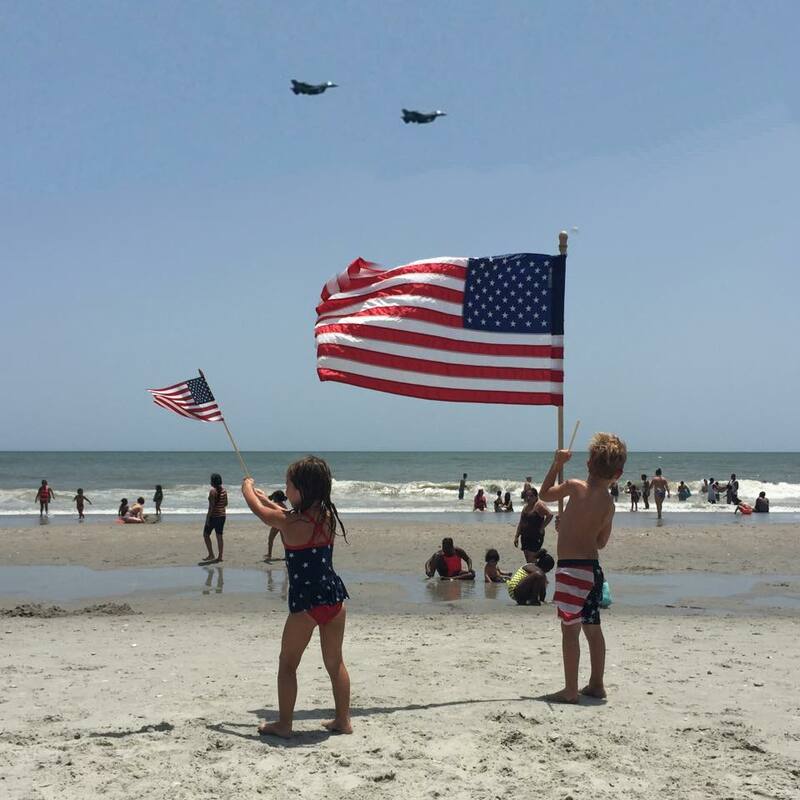 Salute from the Shore is fulfilling a calling which keeps all that we hold dear about our Country ever visible to those on the beach each Independence Day. I Salute my Mom and Dad for their service in the Navy. I Salute my stepdad for his duties as a Vietnam Vet. 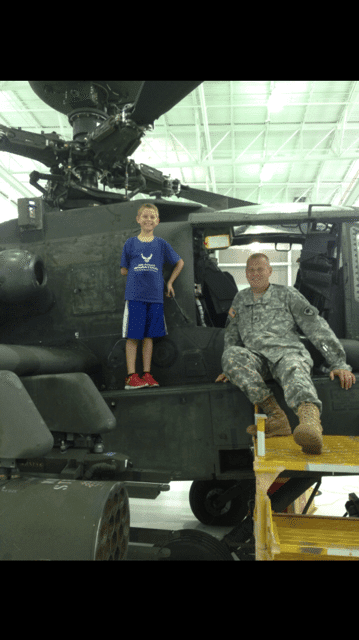 I Salute my Uncle Steve for your service as an Apache pilot. Most of all I Salute my dearest friend Woodrow Wilson, an Army Medic, you without hesitation give up your own safety just to save a life. You are a boss!!!! 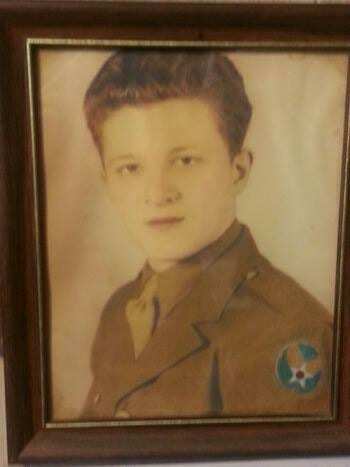 My father served two wars and passed away December 24, 1989 at the age of 52 from mesothelioma. He was stationed on 3 aircraft carriers no doubt leading to asbestos lung cancer. 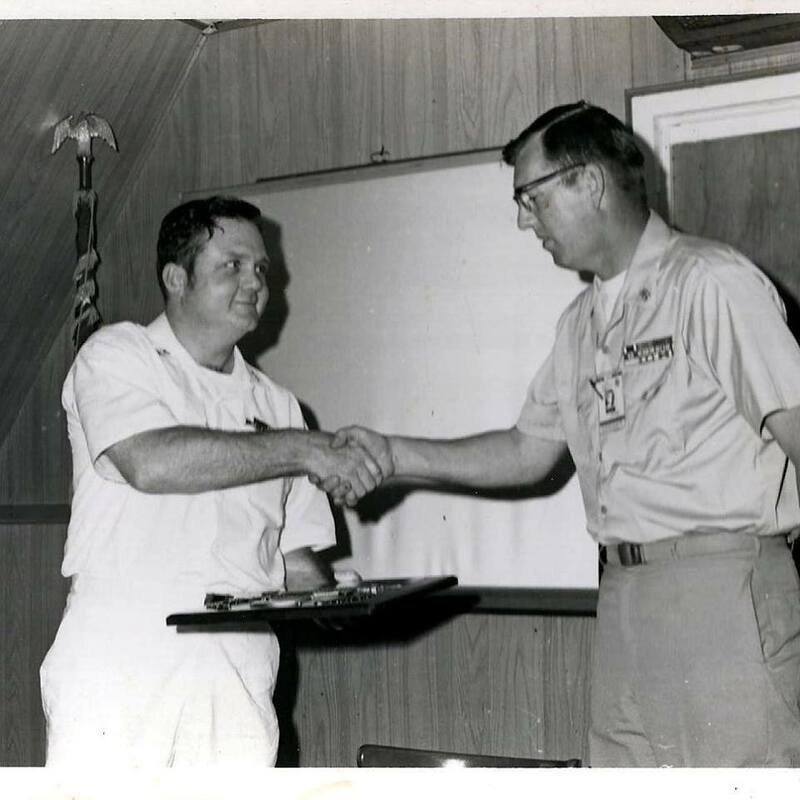 He served for 2 years in the US Navy earning Master Chief Petty Officer. He raised 6 children and is buried with Military honors at the Quantico Marine Base Cemetery in Quantico VA. Rest in peace Dad. 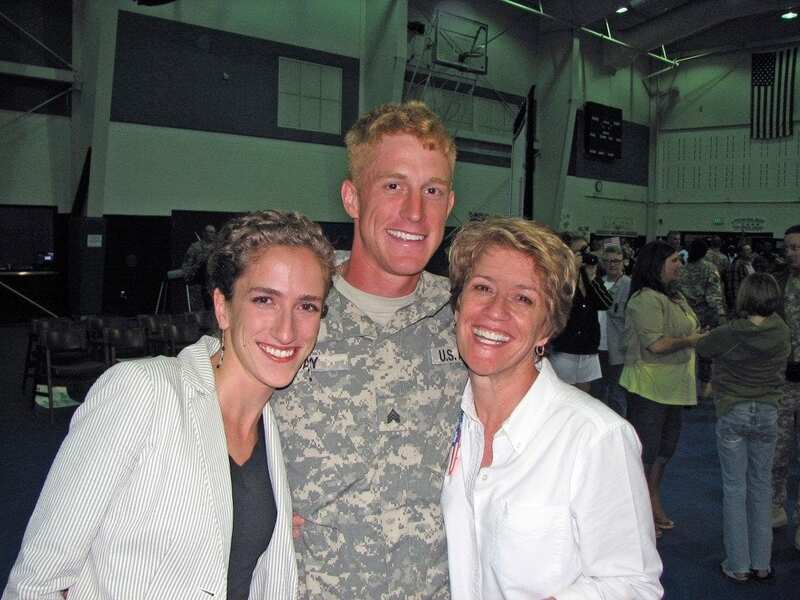 A huge shout out to my nephew, Thomas Taylor, in Korea! Miss you. Love you. Can't wait for you to come home!! My father is a WWII EXPOW, he is 92 years old but has the drive of a 25 year old. We'll be saluting my dad, Lt Col Al King, his dad, Alvin C. King, who served in the US Navy during WWII, and all other service men and women from the beach on Saturday! My son, proudly serving in the United States Air Force!! I wanted to recognize several of my family members who have served including myself. 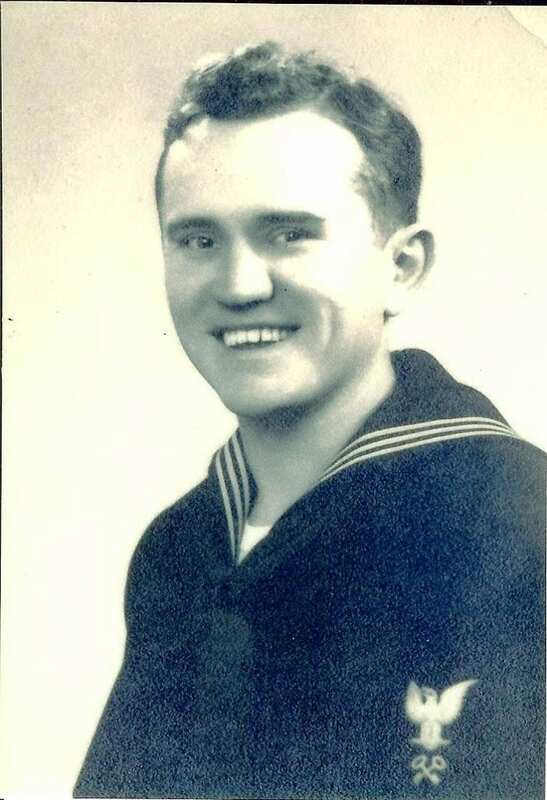 My Father who served in the Navy, we always joke because he joined the Navy to see the world and spent all four years of his enlistment at Andrews AFB as a jet mechanic. Uncle John McCusker and Uncle Jim McCusker who served in the Army and fought in the Vietnam War who sadly were never appreciated by this country for their sacrifices. My Uncle Randy McCusker who served in the Air Force, my Uncle Don Bowmen Sr who served in the Navy and retired. My cousins Gary Overdorf Jr who served in the Navy, Andrew Bowmen served in the Army and was a Ranger and Don Bowman Jr served in the Army. 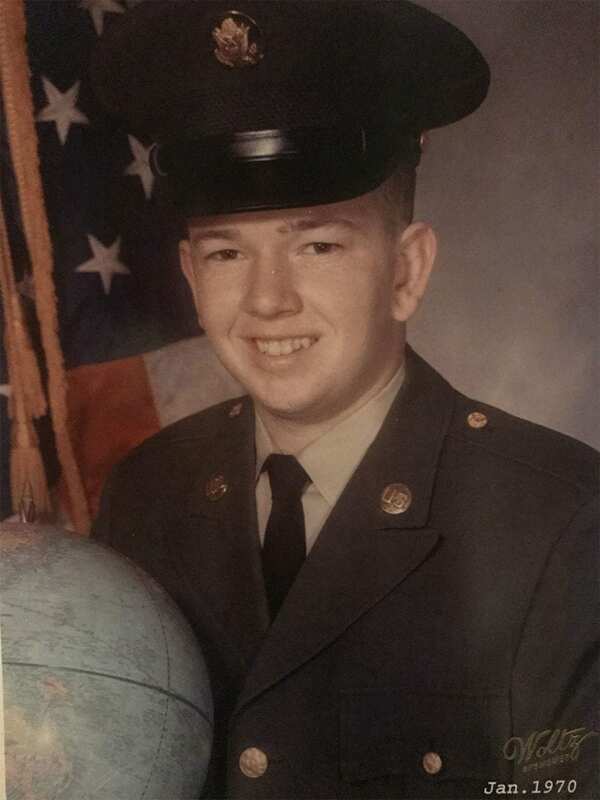 My Father-in-law John Brodaus who served in the Air Force and retired after 20 years. My wonderful husband Milt Higgins who served in the Air Force and retired after 20 years and if not for the Air Force I never would have met and finally I served in the Air Force and retired on September 1, 2014. I would also like to recognize our daughter Madelynn because she to had to make sacrifices as well because both my husband and I were on Active duty and that mean extended periods of time that we would be away from her, several moves and having to say good bye to old friends and make new friends and she never complained she was always ready for a new adventure. To all of my family, friends and fellow brothers and sisters in arms thank you for your service and the sacrifices made to protect our country past and present. Lastly, I am grateful for all of the memories, friends and opportunities the Air Force provided me including earning 2 degrees(Human Resource Management and Pubic Health) while on Active duty, being the first person in my family to earn a college degree and now that I am retired I am further continuing my education with a degree in History and either going to complete a PHD in History or Law school because I want to give back and work for women's, veterans and civil rights. 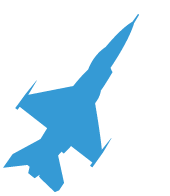 Meeting my husband, getting and continuing my education goals, living all over this country and visiting places overseas would not have been possible without the Air Force. Most patriotic man I ever knew! Motto - "God, Country, Family!" Captain Hugh C. Rogers made the ultimate sacrifice. As a pilot, he was shot down over China in WWII. He was never recovered. He was a Citadel Graduate and native of Florence, SC. My hero! Dad. Bronze star recipient during WWII. My Mom Karen joined the USAF active duty, at age 37, to give back. 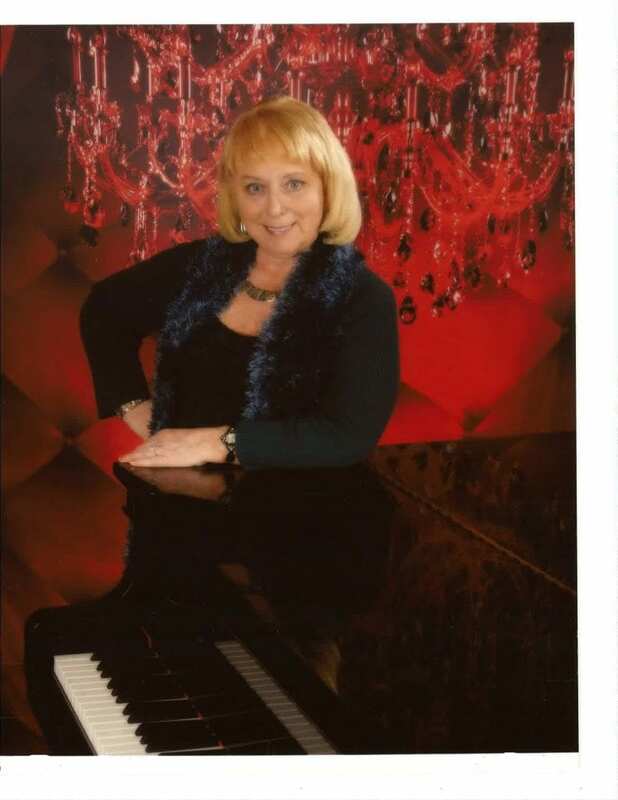 She was in high school and college during the Vietnam era, and had no exposure to the military. She met a Vietnam Vet. Who was in a wheel chair, when she was in her mid thirties. 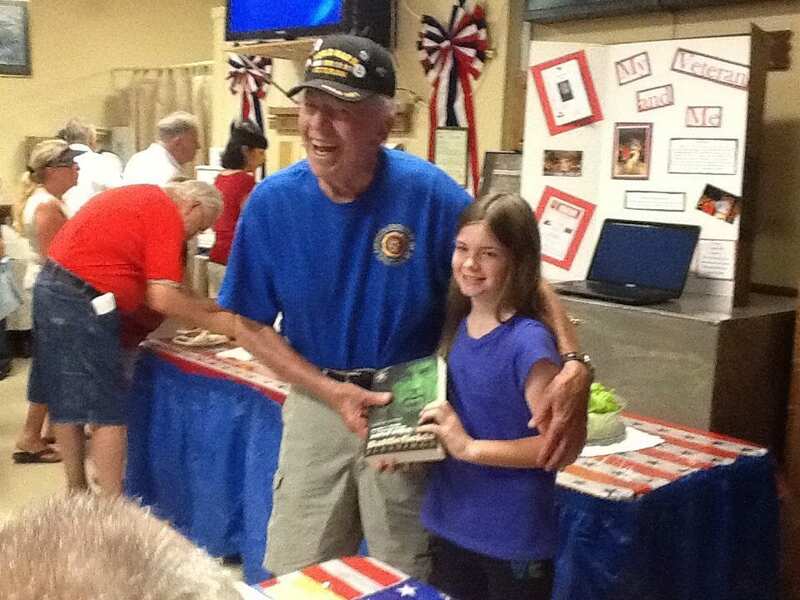 He told her stories of their struggles and that many of them served again. When my Mom asked why, the Vet told her, because our "freedoms are not free." My Mom said she couldn't sleep, thinking about how lucky we were, to be so blessed to be born in America. 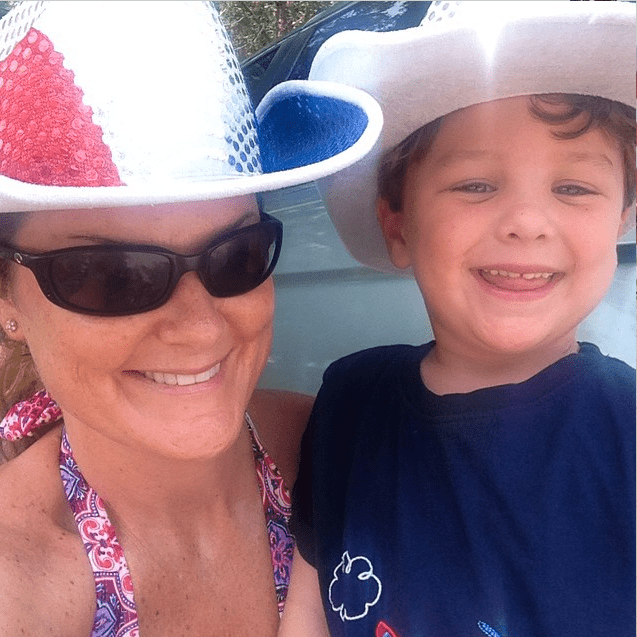 She didn't feel as if she was enough of a Patriot, so she walked into the Army recruiting office, when she was 36, and said that she wanted to join the military. The Recruiter told her that she was too old. Well, later that year, Congress waived the age requirement for healthcare specialists and she was able to go into the Air Force as a Captain. She had 4 weeks of officer training and off to active she went. She was called Private Benjamin the first year, because she knew nothing about the military, wore high heels all the time, and asked so many questions. My Mom only planned on staying for one assignment, but loved the military so much, she stayed 23 years; half active duty, half USAF Reserve. I was 10 years old when she joined, and yes, there were sacrifices. But my Mom made full Colonel. When I see her tear up, at the singing of the National Anthem, America the Beautiful or to the Pledge of Allegiance, I know that I feel blessed, that my Mom defended our freedoms, that we, as Americans, stand for honor and freedom. I raise the flag to my Mom, salute her bravery and patriotism, God Bless the USA, and I know what it means , to be proud to be an American. My Daddy served in the United States Air Force and retired as Chief Master Sargent I salute him for his service. A salute to Ben Hardaway, a Greatest Generation soldier who arrived at Normandy in June.1944 and led his troops through bocage fighting and in the Normandy Breakout to Paris. 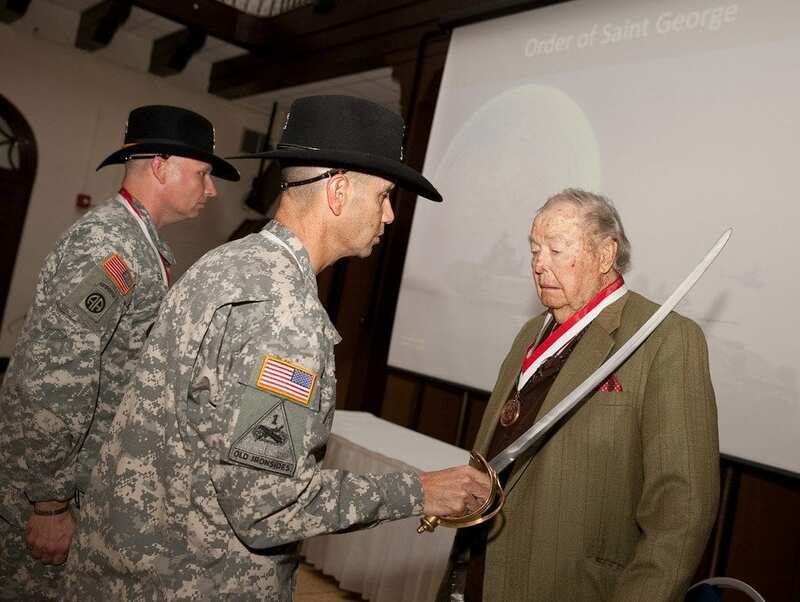 He recently received the Order of St. George at Fort Benning, Georgia and at 95 continues to be an excellent marksman, outdoorsman and houndsman. A big salute to a real hero. He joined the guards after 911. He has been to Quantico Bay, Iraq, Afghanistan. My brother Bob served during Viet Nam, he was a Marine, he along with so many of this great country have stood side by side for us to live free .... many don't really understand what the cost has been and still is for these freedoms we all enjoy. My only hope is that those who do, share with their children, grandchildren, what it truly means for the cost paid for the freedoms we hold dear. May our good Lord watch over all of our men and woman in service..
To me, July 4th means independence, freedom and sacrifices, along with my anniversary. As a military spouse, my heart swells with pride, patriotism and appreciation for the extremes that our military goes to, to defend the USA. 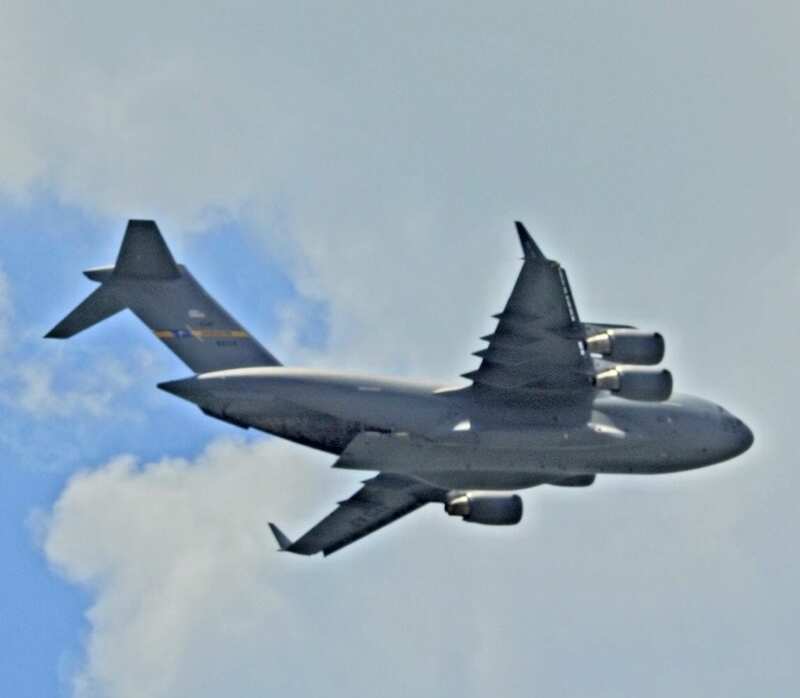 When I see jets flyover or view fireworks, I am deeply touched and reminded of the heroic actions and dedication that my husband, family, friends, coworkers and all service members have given. 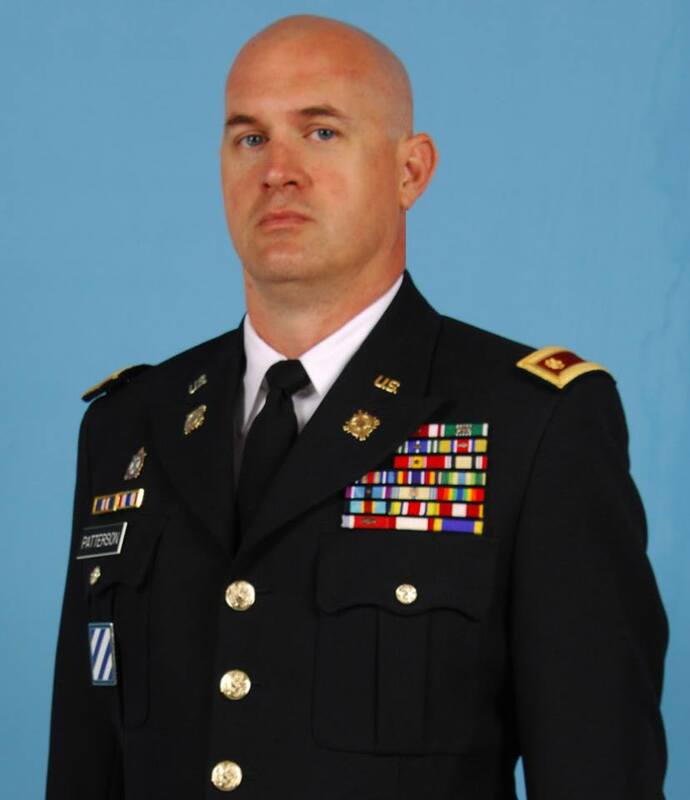 I want to honor my husband, CW3 B. Parsons, for his service, sacrifice and two combat tours. A salute to my father who was killed serving to protect our nation on 9/23/1944 which was less than two weeks before I was born. 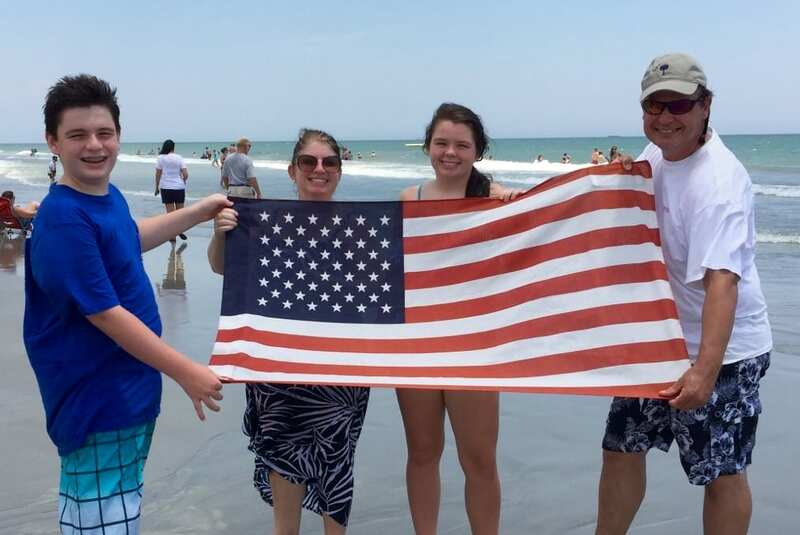 Each year our family vacations in Surfside Beach on July 4th. 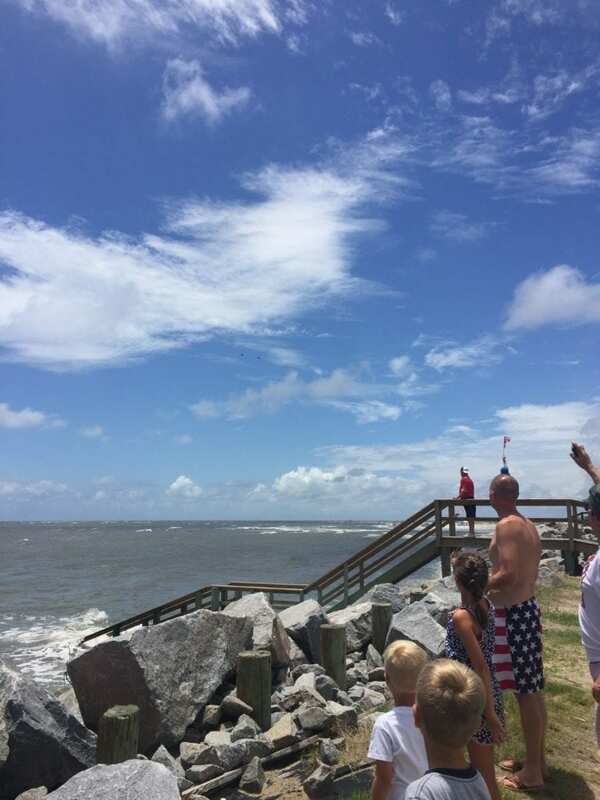 When my husband first learned of the flyover in 2012, he was so excited and quickly organized the family to watch from the shore. We all stood, holding our flag, amazed, honored and PROUD . . . proud to be Americans, saluting our fallen heroes and our active military. 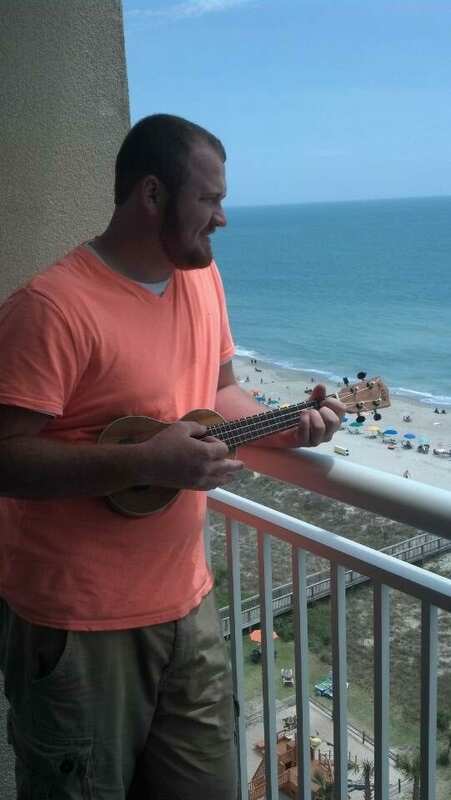 My husband & I subsequently moved from the upstate of SC to Surfside Beach in August 2012. Little did I know that July 4th, 2012 would be his last "Salute from the Shore." 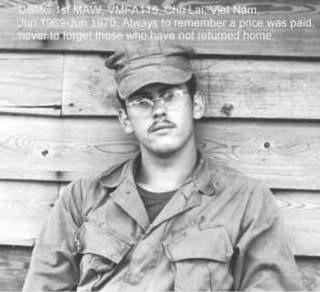 Bill, a USMC Vietnam Veteran, passed away on June 3, 2013, from complications attributed to his military service and Agent Orange. He was so very proud to be a Marine. He is pictured in this 2012 SFTS photo (3rd from the right). Our 2014 SFTS photo is featured on the "How to Salute" page of this website (sadly without Bill). Our family will continue to honor and salute Bill and our military each year. 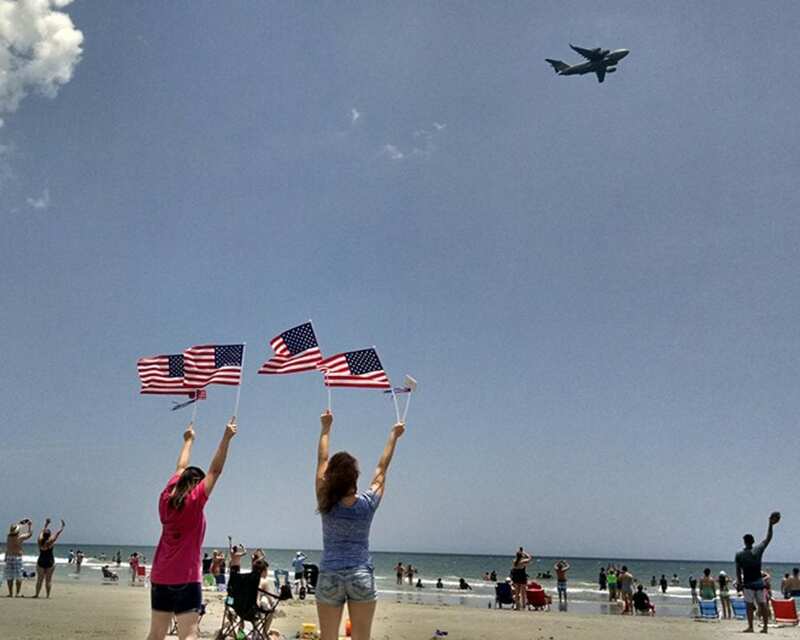 Thank you, Salute from the Shore, for your dedication and support of our American heroes. Natalie and Travis are both Captains at Ft Bragg, NC. I have never seen such devotion or passion for America as these 2 display everyday. Natalie is a Kiawa pilot and has served 2 tours in Afghanistan as well as Iraq. She puts her troop and their safety above all else including herself. Travis is a RN in Med surg. He recently returned from a tour of Afghanistan. He has so much compassion for the wounded soldiers he helped take care of while deployed. They BOTH are the true meaning of loyalty. And the love of the country they serve. I am beyond blessed to have known 2 such wonderful people. They both make our lives safer, while putting their own lives at risk. All our military deserve all the praise and recognition possible. Without them, our great country would be nothing. Natalie & Travis, YOU BOTH ARE MY HERO. 4 separate tours with his Ranger brothers supporting our freedom! My Dad, who spent a year in Vietnam as a US Marine Leiutenant protecting our freedom! We appreciate all those who served and serve. Thank you Mr. Bolton for your service. I am glad you are my friend. We are proud parents of two U.S. Army soldiers! We are so proud and grateful for their dedication to our great country! 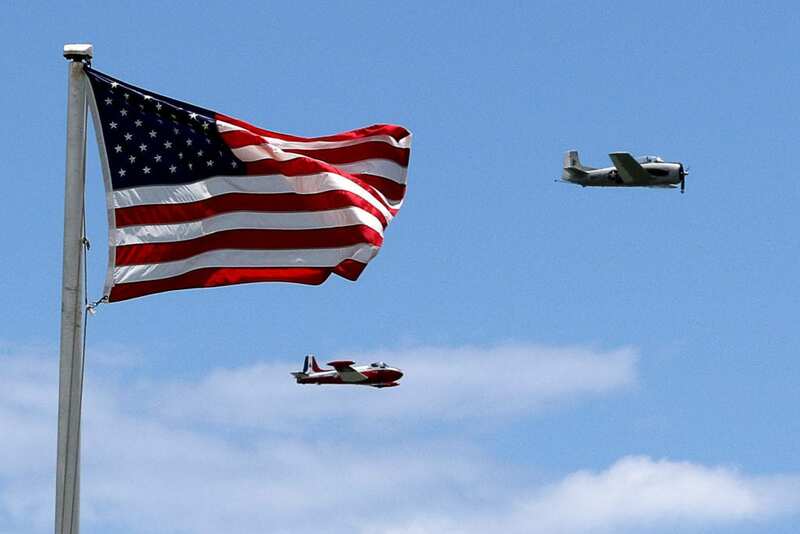 We salute our Veterans and active service men and women who defend us everyday. 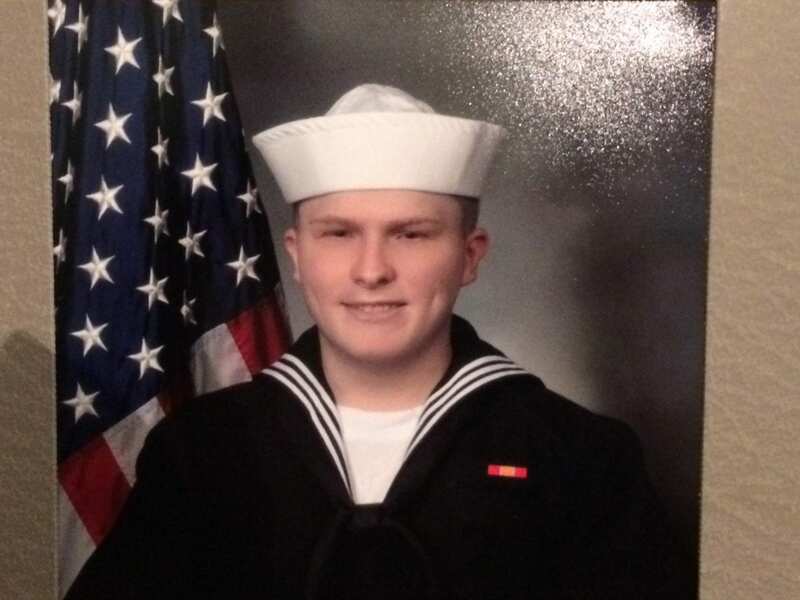 Our son, Charles T Nease is active Navy submariner (USS Louisiana). We are so proud of what you do for our country. We love you son. I want to salute my nephew, Chris Day. He joined the Army right after High School and did two tours of duty in Afghanistan. After getting out he went to the University of Maryland where he became very active with the Terp Vets campus group, as well as volunteering with Team River Runner. He's now making a difference as a high school gym teacher. I'm so proud of him!